The Warden and Society of Sutton fenced off some fields at Echelhurst in 1733. William Smith was paid £2. 8s. 8d for getting the stakes from Sutton Park, Machin and Whitman supplied sixteen loads of thorns at nine shillings a load, and George Whorwood was paid 3½d per perch for 144 perches of hedging. The perch had been used as a measure for fencing and hedges for centuries - twelfth century lords paid their workmen so much a perch for fencing their deer parks - originally it was the length of a pole cut from a coppice stool, but by 1733 it was standardised at five metres. In the middle ages it was important that livestock were kept out of the open fields. Each person having strips of land in the open field was responsible for a particular length of stock-proof fence or hedge - the court of 1548 ordered “that everyone before the next feast of St. Luke properly make his part of the hedge round the grain field”, or they would be fined 12d per perch or 4d per gap. George Whorwood did other work for the Warden in 1733 - he was paid for twenty days work at 1s. 4d. per day. By 1733 the open fields had all been converted to smaller square fields, measured in acres, but sometimes referred to by the time taken to plough them. A four-and-a-half acre field off Ox Leys Road was “Four Days Work”, while “Five Days Work”, a field between Langley and Peddimore now crossed by the A38, measured seven and a half acres. Twenty days at 1s. 4d is £1. 6s. 8d. There was once a 6s. 8d. coin called an angel or a noble, two nobles made a mark, three nobles made a pound. In 1480 the Bailiff of Sutton collected the rent of New Shipton Farm of £4.13s. 4d, or seven marks, and he paid the chaplains salary of 33s. 4d. - three marks. Humphrey Gelson, the park keeper, received an angel for a year’s shoe money (he had wages, not a salary; his wages of twopence a day came to three pounds and eightpence, i.e.364 days, day 365 must have been a Boon Day). 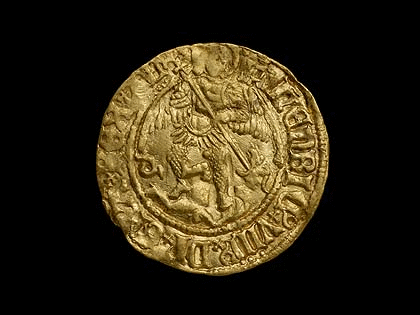 In 1546 John Smythe was fined an angel for ploughing up the commons, while Nicholas Spynard and Hugh Sharatt were each fined half an angel for “failing to repair the high road to Wales as it passes through their lands” - perhaps they used a gold half-angel to pay. 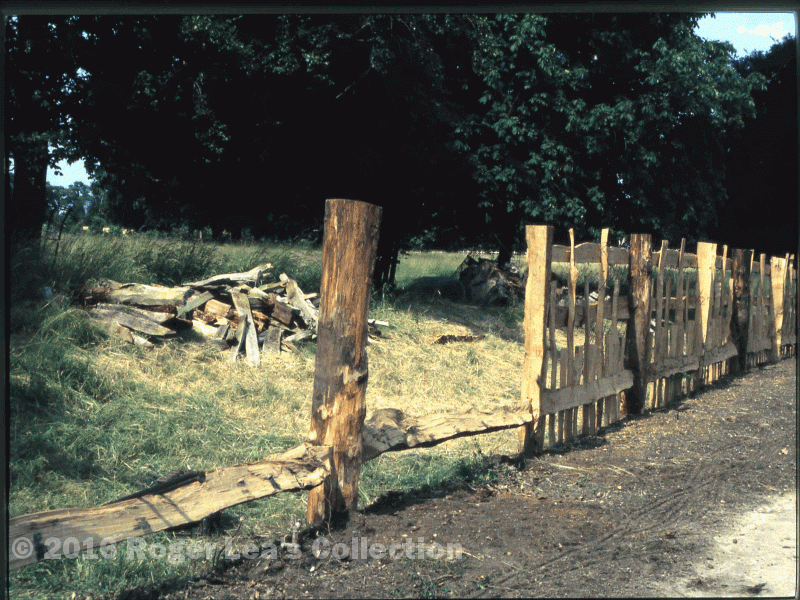 Construction of the deer-park fence at Charlecote Park using a method and materials specified in a sixteenth century document. The Elizabethan workers were paid a few pence per perch.